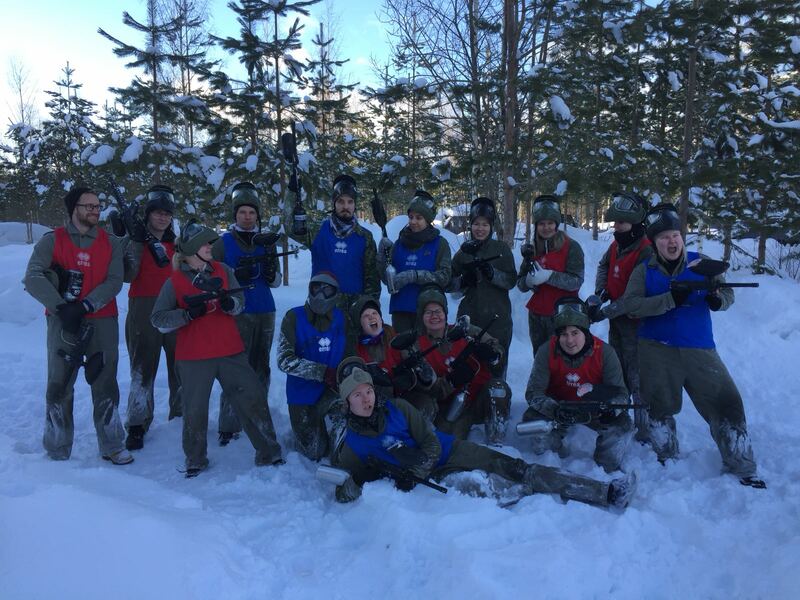 Yesterday afternoon, five of us tried being soldiers with some members of Oidipus ry (the psychology students at UEF) at Joensuu Paintball. 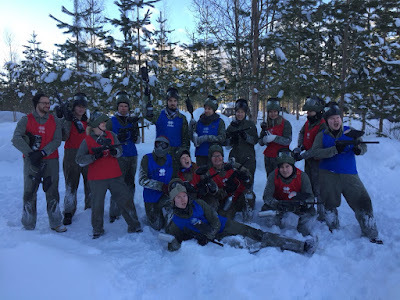 The freezing weather and waist-deep snow made the event a bit more challenging that we had bargained for, but the adrenaline rush made sure that everyone had fun crawling in the snowbanks. Two hours just flew by and left an interest to go back during a no-snow season.